Who is Odessa Adlon, How Old is She, Who are Her Parents, Boyfriend, Is She Dating Anyone? The name Adlon is one that is tied to prestige in Hollywood, as it either refers to Pamela Adlon or Percy Adlon; these two are forces in Hollywood who have attached to their names stellar performances in movies and television shows. This article is however about Odessa Adlon, a descendant (child and grandchild respectively) of those two acting greats. She is also an actress who has had roles in the NBC television movie; What about Barb? Nashville (2012- 2018) and Better Things (2016). Keep reading to learn more about Odessa Adlon. Odessa Adlon is a very talented actress who has followed the footsteps of her equally talented family members. Odessa Adlon may come from a pretty prominent family, but the only information available about her education is the high school she attended. Odessa went to a school in Van Nuys, California named Charter High School or CHAMPS. 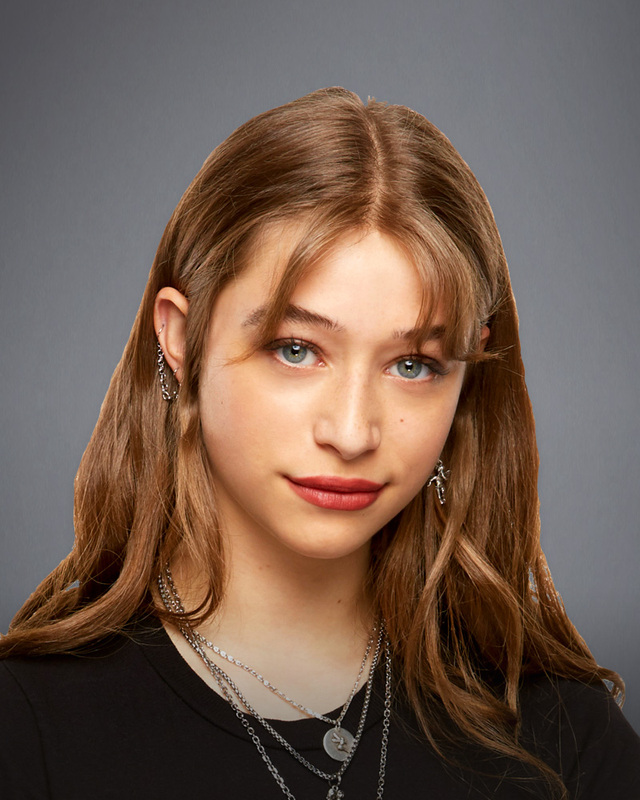 It is an art school that gives students the opportunity to take courses that are predominantly in performing and digital media arts, and it obviously prepared Odessa Adlon for her future forays into the arts. Her career as an actress started off with her role in the musical drama Nashville. She joined the cast when the show got rebooted in 2017 by CMT network after it was canceled by ABC, with whom they had a five-year run. The show follows the lives of country musicians, all fictional. Adlon had a very minor role in the show but her appearance on the show began her career in acting. In 2017, she was cast in the comedy What About Barb? alongside Leah Remini and the British actress Jessica Gunning. The movie was a remake of the 1991 film What About Bob? with the main twist being that the remake had female actresses in the lead. Odessa has also appeared in the Fox television show Better Things which was written by her mother, Pamela Adlon alongside Louis CK. It follows the life of the lead character played by Pamela, who attempts to juggle motherhood and a successful career as an actress. In 2017, Louis CK had allegations of sexual misconduct leveled against him to which he pleaded guilty in November of the same year. His admission saw him fired from the show. How Old is She, Who are Her Parents? Pamela Fionna Adlon and Felix Adlon welcomed their first child Odessa Adlon on the 17th of June, 1999 – which was three years into their marriage. Odessa’s mother is the renowned actress Pamela Adlon who has had various roles in movies and television shows, some of which are Grease 2 (1982) Waiting for Woody (1998), Californication (2007-14), First Girl I Loved (2016), Bumblebee (2018) and has also lent her voice acting talents to the animated movies Tinker Bell and The Great Fairy Rescue (2010), King of the Hill (1997-2010), The Big Bang Theory and a number of video games. She has also worked as a writer and producer on the somewhat autobiographical television show Better Things (2016- ). Pamela Adlon is a multiple award winner who has an Emmy and a Peabody to her name. Felix Adlon, Odessa’s father is mostly known as the son of Percy Adlon; a multiple award-winning movie director, screenwriter and producer who is of German descent. Percy Adlon is also a powerhouse in the movie industry and has received recognition for his movie Bagdad Café. Felix also happens to be a writer and has produced some movies. He met Pamela in high school and that was where they began their relationship. The two started to date in high school but got divorced in 2010 after which Felix returned to his home country of Germany. Odessa has two siblings; Gideon and Rocky, her younger sisters who are also actresses. Boyfriend – Is She Dating Anyone? Odessa is known to have only dated one person – singer and actor Jaden Smith. His parents are Will Smith and Jada Pinkett-Smith. 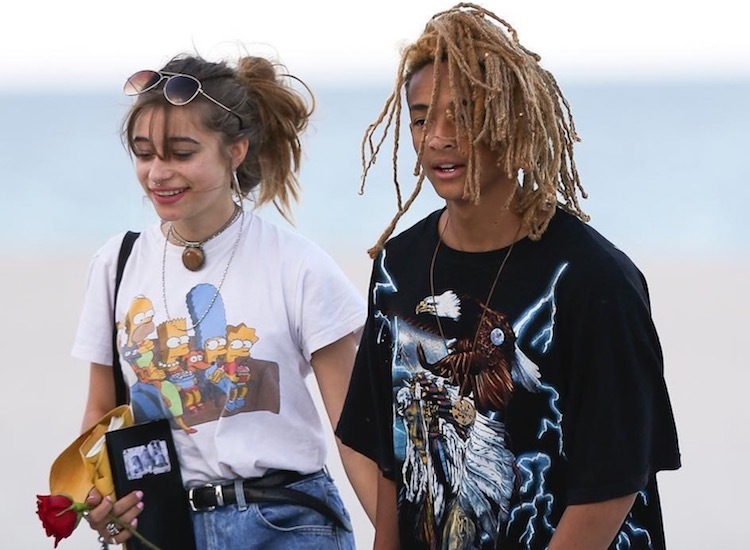 The two started to date in 2017 and Jaden had previously dated Sarah Snyder who is a model. Smith and Adlon have been seen together publicly on various occasions; they attended Smith’s prom together wearing matching outfits of black. It is not sure how the two of them met as Odessa maintains a pretty low profile, going as far as locking her Twitter account but it is certain that they started to date sometime in 2017.